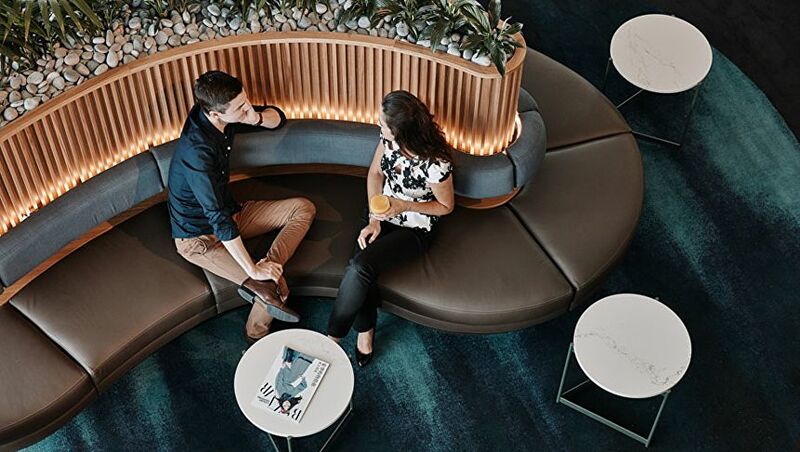 Brisbane Airport's international terminal is home to no less than five lounges, and with some business class passengers, frequent flyers or lounge members potentially having two or even three lounges to choose from, it pays to know all the options. For example, Star Alliance business class passengers and Star Alliance Gold frequent flyers can often choose between the Singapore Airlines and Air New Zealand lounges, while passengers of Qantas and Emirates may be able to visit the lounge of the other airline, depending on departure time and destination. Travellers with a Priority Pass card, AMEX Platinum Charge Card or Centurion Card can also swing by the Plaza Premium Lounge – with cooked-to-order dining and barista-made coffee – when flying with any airline in any class of service, potentially giving travellers their second or even third option. Whichever airline you prefer and wherever you're flying, here are today's lounge options at Brisbane Airport: soon to be joined by a sixth lounge when Virgin Australia opens 'My Lounge'. Where it is: Turn right after duty-free, turn right again and head up the escalator between gates 81 and 82, where the lounge is located on your left-hand side. When it’s open: From 5am daily for morning departures, closing when there isn't another eligible flight departing in the next 2.5 hours – in which case, the lounge re-opens at least 2.5 hours before Air New Zealand flights and those of its contracted partner airlines. However, Air China passengers are generally directed to the Singapore Airlines lounge, and EVA Air passengers to the Plaza Premium Lounge, because these flights tend to depart when Air New Zealand's lounge is closed – although if the AirNZ lounge is indeed open, these guests would have access in line with Star Alliance rules. What’s so special: Given its corner location at Brisbane Airport, AirNZ's lounge enjoys a great amount of natural light during the day, joined by views of not only the airport tarmac, but also towards the Brisbane CBD. Its funky modern design puts power points (AC and USB) near almost every seat, while there's a buffet offering a selection of hot and cold food, machine-made espresso coffee and a self-pour bar, open whenever the lounge is. Where it is: Above Gate 75. When it’s open: Three hours prior to all Emirates flights. Emirates currently has departures from Brisbane at 8:45pm (Dubai), 10:25pm (Dubai) and 2:35am (Singapore and Dubai). Note that many Qantas flights depart in the mornings, so although Qantas passengers can technically access this lounge, the opportunities to do so in Brisbane are limited, given its opening hours. With a custom-built aerobridge, Emirates also offers direct boarding from lounge to aircraft on selected Emirates flights – generally the early-evening Airbus A380 departure, and the 2:35am service to Singapore and beyond, so once you're in the lounge, you don't have to re-enter the terminal to begin your journey. Where it is: Opposite the Air New Zealand lounge: take a right after duty-free, another right, and venture up the escalator between gates 81 and 82, where the Plaza Premium Lounge is to your right at the top. When it’s open: 5am-midnight daily. Subject to space availability only: Virgin Australia passengers travelling to international destinations other than Los Angeles in business class or as a Velocity Platinum or Gold member, until Virgin Australia's new 'My Lounge' opens in Brisbane. Where capacity doesn't allow, these travellers will instead receive a food and beverage voucher. The lounge itself has high ceilings and plenty of natural light throughout the day, joined by AC and USB power points near almost every seat, and barista-made coffee. There's also a day spa here, but all treatments are chargeable – as is alcohol for guests who enter the lounge using Priority Pass, although if your access is provided by an airline, or you use your AMEX Platinum or Centurion Card for entry, alcohol is complimentary. Where it is: After duty-free, proceed straight ahead, walking parallel to the terminal's exterior glass windows. The Qantas lounge entrance is at the end of this walkway, opposite Gate 80. When it’s open: 5:30am-midnight, or whenever the last contracted flight departs. However, Malaysia Airlines' passengers departing from Brisbane do not currently have access to the Qantas lounge, even under Oneworld rules, due to capacity constraints. While Qantas is planning a further expansion of its Brisbane Lounge to alleviate this, for now, Malaysia Airlines passengers can only use the Plaza Premium Lounge here. What’s so special: While once an outdated lounge with a separate "first class shoebox" for Platinum frequent flyers, as it was affectionately known, Qantas' international lounge in Brisbane underwent a complete revamp in 2016 to become a bigger, two-storey space shared by all eligible passengers, with a very 'Queensland' look and feel. In the mornings, there's the Brisbane Breakfast Hatch upstairs, offering cooked-to-order items like Eggs Benedict or healthy breakfast bowls, while the main level of the lounge provides a cocktail bar with barista-made coffee – and, tucked away exclusively for Platinum One, Chairman's Lounge and other VIP frequent flyers, Champagne (Perrier-Jouët) on request. Where it is: In the same area as the Air New Zealand and Plaza Premium lounges: take the escalator upstairs between gates 81 and 82, and follow the walkway around to the right (walking past these other two lounges). The SilverKris lounge will be in front of you. When it’s open: 3 hours before departure for all Singapore Airlines flights (SQ256 at 9:10am, SQ236 at 2:45pm, SQ266 at 6:10pm and SQ246 at 11:25pm); while also opening for Virgin Australia flights to Los Angeles (VA7 at 11:55am and VA9 and 10:15pm, on varying days), and for Air China flights (CA796 at 7:30pm, seasonally). Until Virgin Australia's new 'My Lounge' opens in Brisbane, Virgin Australia passengers flying to Los Angeles in business class or as a Velocity Gold or Platinum member can also visit this lounge. As this lounge opens and closes throughout the day, Star Alliance passengers booked to fly with other airlines may or may not be able to visit this space in place of their 'default' lounge, depending on the departure time of their flight. What’s so special: Following its relocation in 2016 from the corner of the duty-free shop to a brand new space upstairs with a view, the Singapore Airlines SilverKris lounge adopts the airline's 'home away from home' feel, with modern furnishings and a variety of zones nestled into an apartment-like space. Once Virgin Australia's 'My Lounge' opens in Brisbane, it'll become the go-to for business class passengers and eligible frequent flyers departing on all Virgin Australia flights, and for Velocity Gold and Platinum members flying with Hainan Airlines to Shenzhen in premium economy or economy, who do not currently receive lounge access here. When travelling with Qantas, except to North and South America or to South Africa: business class passengers, Qantas Gold cardholders and above, and Skywards Gold members and above. I'm Platinum with Qantas and do a regular run in J up to Tokyo Narita. Each and every time I've tried accessing the lounges in Melbourne and Brisbane I've been turned away with the excuse that I need to be travelling on an Emirates codeshare flight which the Narita flights are not. Your reviews never state this. I have tried e-mailing both Qantas and Emirates about this but get fobbed off with excuses and told to reference various parts of their websites which inevitably clarify nothing. Are you able to get in touch with Emirates/QF and get a definitive answer on this? Hi stoffel, the rules we list are those published for the Qantas+Emirates partnership (and confirmed by Emirates, as we’ve gone through the access rules with them before), and there’s no published requirement of being on a codeshare flight for access - but in Brisbane, you wouldn’t be able to access the Emirates lounge before Tokyo flights anyway as these depart in the morning, while the Emirates lounge here is only open in the evenings. I’ve had no problems accessing Emirates’ Australian lounges before other Qantas flights to Asia (e.g. Sydney-Shanghai), but if your experience was recent, please share your flight number and date and we can discuss this with Emirates to see if anything has changed. Thanks! It may have been a year ago when I tried getting into the Brisbane lounge. They still had the A380 morning flight to Auckland then so the lounge was open. The staff were absolutely adamant that the codeshare rule applied. Likewise at Melbourne. If it happens again I'll let you know. Personally, I find the food a little better in the SilverKris lounge, but the views and light to be better in NZ (because you can look towards both the city and the tarmac, versus tarmac-only from SQ): so I tend to go to NZ if I’m on a morning flight as the light is better to wake me up and ‘breakfast is breakfast’, and to SQ if I’m flying later in the day. A little bit disappointing that you can't use the Qantas lounge when flying with Malaysian. Have been to the Qantas lounge listed above a few times this year and each time it was very overcrowded to the point where last time I could not find any space to even put my bag down, let alone sit and have something to eat. Looking at the list of "Who Gets In" above... I now know why. It's a nice space, just not enough of it IMO. Virgin Velocity gold and platinum members have never been treated well when travelling out of Brisbane or around the Pacific. The Premium Plaza is adequate only. I have never been given the opportunity to order food outside of the limited buffet offerings, and then with no champagne for breakfast, no cognac for supper. A bit disappointing that Priority members have to pay for liqour at the Plaza premium loimge.Not worth the money. With respect to the "My Lounge", the previous article said that it is "due to open towards the end of November". We are already "towards the end of November" (and the actual end is only 4 days away) - do you know if there's been a delay? Just to reply to my own comment, it looks like Virgin has updated their website to now say "The Brisbane ‘My Lounge’ will be opening in early 2019." In mid February I have a Thai Business Class Flight BNE - BKK - OSL. I have noted that in Brisbane I can choose either Air New Zealand or Singapore Airlines Lounge. Which do people recommend as best? Flight departs at 1400hrs. Then in Bangkok I have a four hour change of plane and stop-over. Is the Thai Airlines Lounge the only option there? Is the food acceptable and area comfortable? 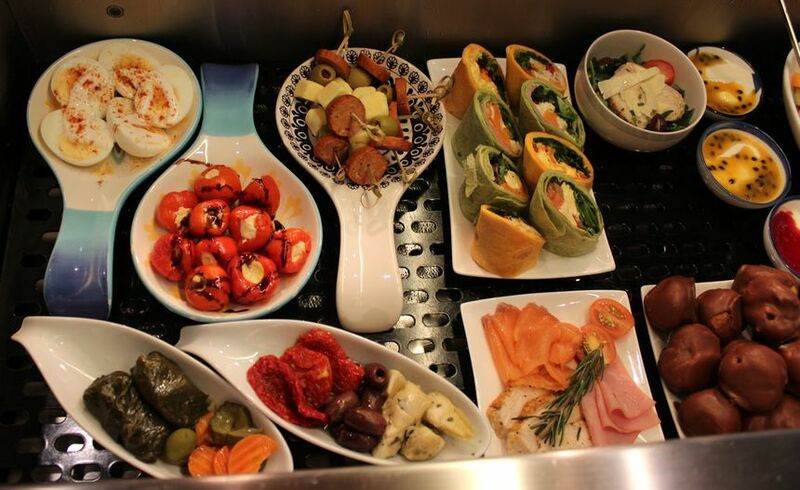 Comment on "Your guide to Brisbane Airport's international business class lounges"